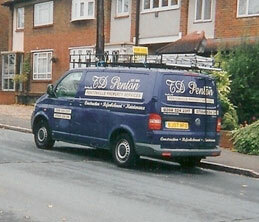 Established in 1989 Pentonville Property Services provide a highly professional & experienced decorating Service. Terry Penton & son Daniel Penton are fully prepared to handle all your painting and decorating problems. With no job too big or too small, we are City & Guilds qualified and able to take on any Decorating Task from Rag Rolling to paper hanging, marbling to decorative touches and everything in between. Based in Chingford we operate throughout the region covering Harlow, Ongar, Bishops Stortford, Brentwood and Epping and all surrounding areas.